Sometimes you may realize you’re tired. Sometimes you don’t, or just push through. Sometimes the consequences are less than ideal. When was the last time you had a good night’s sleep and woke feeling rested, and ready for the day? What does your workday look like when you’re tired? Sleep and stress are parts of our day to day rituals and lives. How do they impact our lives, and in particular our work lives? Fatigue Science is a Vancouver based company that focuses on measuring and mitigating fatigue, and works with professional sports teams, heavy industry, transportation companies, and the military to help them improve their fatigue management. 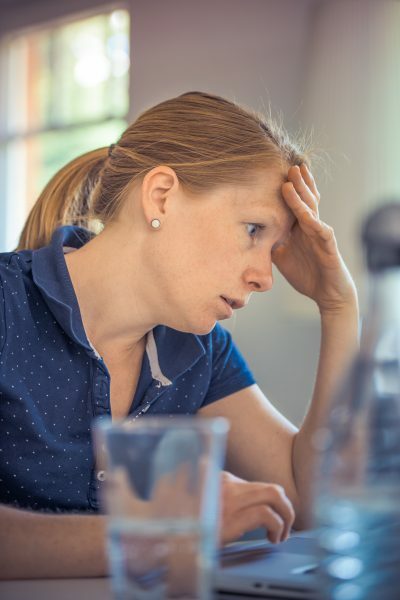 I took some time to speak to Karl Woll, an Account Manager with Fatigue Science about the impact fatigue has in the workplace. As a safety professional, I know that fatigue has been a factor in some of the incidents I’ve observed or investigated. Some of those have been significant with high potential for serious injury or death, and some less so, but all these incidents still had consequences for the business. Karl specifically identified one contributing factor to fatigue as the most common, and challenging – individual employees’ lack of understanding in relation to their own fatigue, and the impact poor sleep has on their health and workplace performance. Fatigue Science tries to address the human behavior aspect by engaging with employees through education and awareness on the effects of fatigue, and the benefits of good sleep management. While only employees can choose to change their sleep habits, the support of their organization is crucial. There’s evidence that over the years, we are getting less and less sleep. The invention of the lightbulb, the proliferation of the internet and smart devices, and never-ending to-do lists are all causes for this. Karl provided a couple of examples where people are tempted to watch “just one more episode” of a Netflix series, or “quickly” check our phones before bed. These are prime examples of individual behaviours and habits impacting sleep, that didn’t exist in decades past. 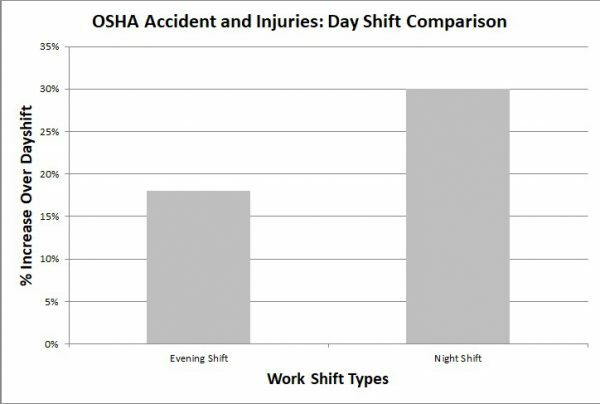 OSHA comparison of accidents and injuries compared to day shift. These are just a few examples that can contribute to fatigue, and that’s without the additional challenge of sleep disorders. As many as around 25% of the population may have one of close to 90 different sleep disorders such as sleep apnea and insomnia. How we behave, and our moods are also influenced by sleep. Karl gave an example where a professional athlete was finding that he was always in a bad mood. He was becoming somewhat withdrawn, and less talkative with his teammates. He didn’t want to look at or talk to any of his teammates. He was always angry, and just wanted to get training over with and go home. As he learned about the importance of sleep, he started prioritizing it. Soon, he began having fun again, engaging with his teammates and looking forward to practices. “Think about the difference that makes, when your employee wants to show up to work, to be an active member of the team and contribute. How much more effective are you as an organization as a result?” says Karl. Sleep has physiological impacts on our bodies as well. One example is the relationship between more sleep which reduces cortisol levels, which in turn can reduce stress levels, another workplace challenge. Parents, how many of you have had spilt milk at breakfast, and responded by either getting frustrated or laughing and joking depending on your mood? How you respond is heavily influenced by how rested you are. How does that mood carry to the workplace and impact your team? While poor judgement and making a bad call in your line of work may not have devastating consequences or impact the global economy, a series of bad decisions over time can add up, resulting in inefficiencies and lost revenue. So how do we get workers from poor sleep and fatigue related behaviours and habits, to healthier ones? Fatigue Science works to ensure that employees and employers understand the risks of fatigue, means by which to identify it, and the benefits of managing it. This can include ongoing monitoring and tracking of fatigue levels through Fatigue Science’s wearable device, the Readiband. Assess your sleep, using a Readiband from Fatigue Science, other wearable, or something like the Epworth Sleepiness Scale. Make your bedroom a haven for sleep – make it clean and comfortable. Use black out curtains and unplug anything that emits light. Limit exposure to noise, or use earplugs or a white noise machine to drown out disrupting sounds. Stick to a consistent sleep schedule (as much as your job/ real-life permits). We get the best result from sleep when we obtain it at consistent times each night. Avoid bright lights before bedtime, and excessive stimulation such as TV, mobile phone screen time etc. right before bed. Nap! If you’re tired, don’t be afraid to have a power nap. 30 minutes of light sleep between 1-3 pm can have a surprising impact on your fatigue, without making it difficult to fall asleep that night. Watch what you drink. Avoid caffeine in the afternoon and evenings, as caffeine has a half-life of about 6 hours. More than a single serving of alcohol in the evening, while it may help you fall asleep, will actually disrupt your sleep, making you skip over the most regenerative stages of sleep. Create and stick to a bedtime routine considering these and other habits. Like anything in life, if we prioritize and have a plan for sleep, we’ll be most effective with it. Adjust your bedtime routine where required to keep you in your optimal sleep zone (7 – 9 hours for most people). In my experience, we are all busy with the many aspects of our lives, and it’s all too easy to put more value on the things we do in our days, and allow them to creep into our nights, and our sleep time. Often eroding that valuable time where we sleep, recharge, rebuild, and rest our bodies. The consequence is that we can compromise those things that we value so much during the day. The challenge, as with most things in life, is prioritizing, and balancing the many needs of our days, to allow for the benefits of good sleep. The upside to striking this balance may be better results while sleeping, that produce better results when working.